A kinda new place opened near my house which seemed quite popular from the crowd. Looking at the decorations, one would think this to be a Western or Italian place. I love what they did with the place. It's so warm and cosy with a long mirror on one wall, making the room look bigger. 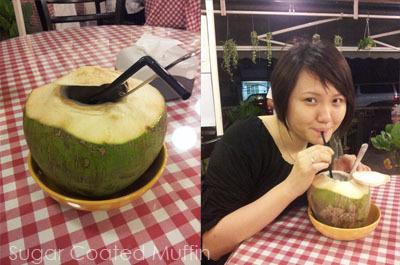 Ordered fresh coconut (RM 4.90) since I saw so many people ordering it. The water is sweet and the flesh is 'young' although quite thin. They only serve Brown rice or Basmati here at RM 2 per bowl which is awesome cos brown rice is much healthier than normal white rice. 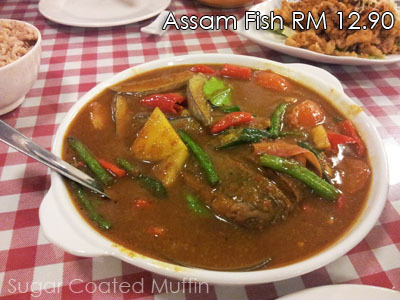 The Assam Fish is om nom nom-licious! Comes with pineapple, vege, tomato, chilli and brinjal. Really like this.. The sour sauce really opened up my appetite. 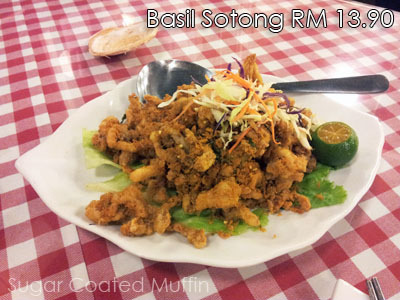 The fish is not FISH and the sotong is not SOTONG O_O! This is a vegetarian place.. ZZzz..~~ The 'fish' is made from some kinda tofu/fu chuk thingy while the 'sotong' is actually mushroom stalks but I must say that it comes pretty close to the real thing. I'm impressed.. 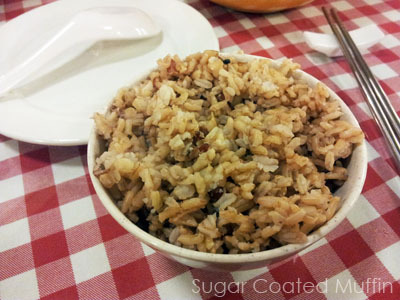 They also serve pasta, noodles (Chinese style) and rice dishes here. If you spend above RM 50, you are entitled for their lucky draw too.. I got myself a voucher for a fruit drink worth RM 13+! So worth it.. Also, service is really good and food arrived quickly. 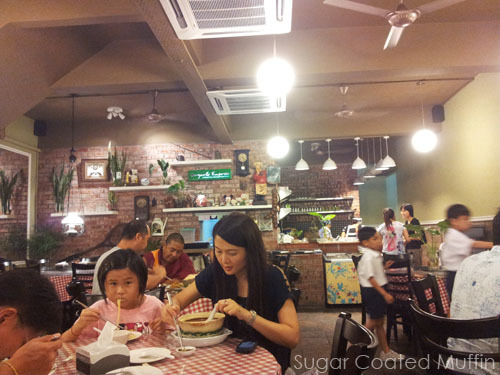 The price may be a little pricey to some but take note that this is not a hawker centre! IMO, it's worth treating yourself to some good food once in a while.. You can even bring your date here (there are smaller tables outside while the ones inside look more suitable for families or friends). Address : 49, SS2/30, 47300 Petaling Jaya. It's located on the same row as Lobsterman, behind Sri Siam with Eng Seng Heng on the other end. Parking shouldn't be a problem here but do be careful as it can get pretty dark and empty since it's a housing area and the rest of the shops are closed at night.